from the Technicraft Series by Tamiya. Allows 2 gear ratios, 11.6:1 and 18:1 to be selected. mechanical noise than metal gears. Accepts 140 or 260 type motors. Included motor operates on 3-4.5V. 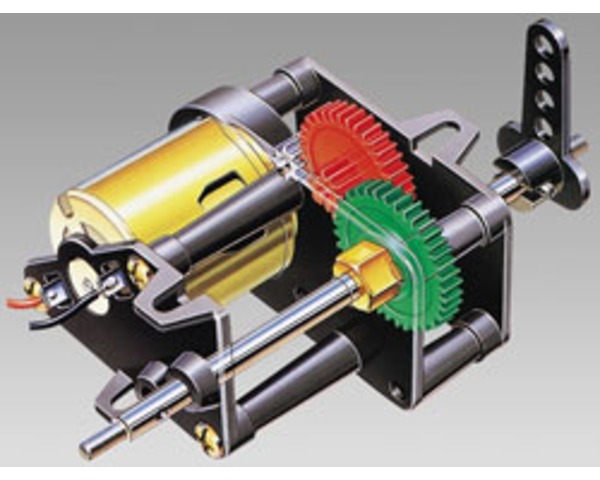 One Technicraft High Efficiency High Speed Gear Box Assembly Kit.